2. 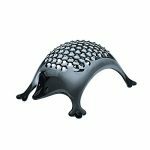 Our Cheese Slicer is strong sharp stainless steel blades makes it easy to cut vegetables and fruits and will last for years. 3. 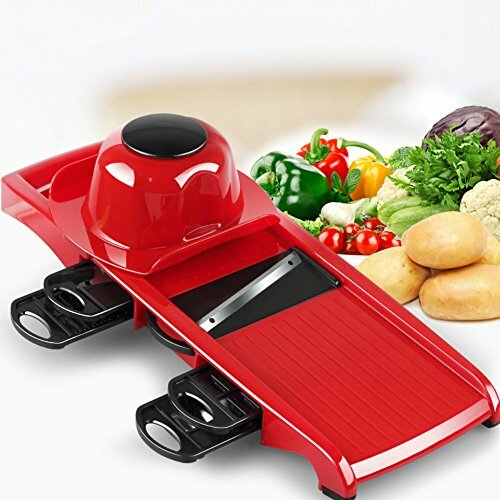 The blades of Vegetable Chopper are stored right inside the mandoline itself so you will never have to search for the right blade again and easily switch to different blades. 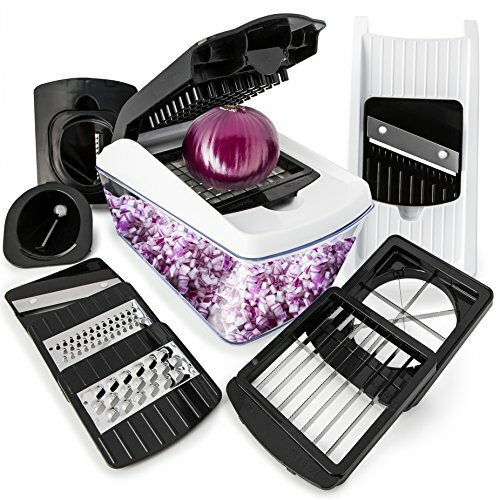 SLICE & CUT ANYTHING – With the Chef’s Way Mandoline Slicer you will swiftly slice potatoes for french fries or creamy gratin, quickly slice vegetable strips for salad or snacking, Slice onions for onion rings, easily shred cabbage for tasty coleslaw or even make diced tomatoes for salsa. 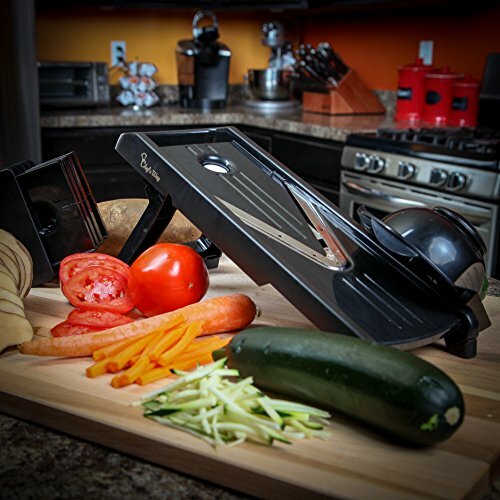 COOK MUCH FASTER – Dramatically reduce your cooking and preparation times with this vegetable slicer & food chopper. Make a huge bowl of salad or a pile of french fries within minutes. 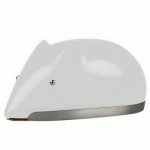 JOY TO USE & BUILT TO LAST – High quality strong razor-sharp Stainless Steel blades, strong and firm ABS plastic body, will last for years with proper use. 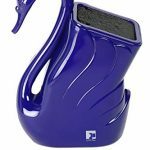 Easy-Grip safety handle for safe and enjoyable use, slip-resistant rubber feet will keep it in place while in use. EASY TO USE – chop, slice or dice in one easy swift motion. GOOD QUALITY – Equipped with premium super sharp stainless steel blades and excellent reinforced plastic frame and body, heavy duty and long lasting life. FAST -Chop up vegetables, fruits, and more in one simple press motion. Experience fast and easy kitchen blade skills. 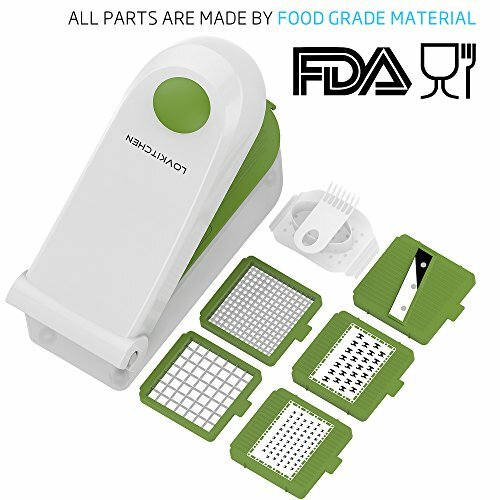 9-IN-1 MANDOLIN SLICER AND CHOPPER offers the functionality of multiple kitchen tools with 9 interchangeable cutting blades. Free-up space on your countertop and use just 1 easy kitchen gadget. 1-QUART CATCH TRAY makes meal prep mess-free and easy. 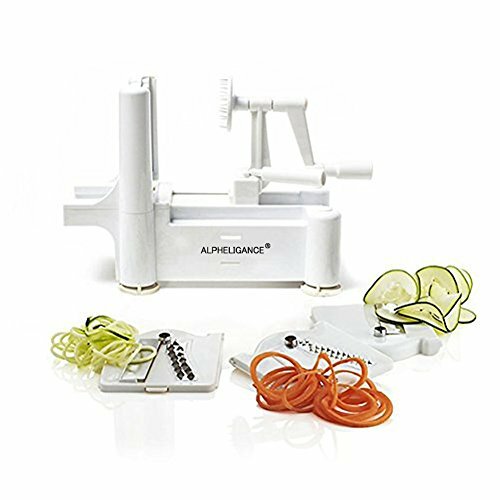 Molded finger guard and rubberized non-skid base ensure total safety and stability as you slice and dice carrots, cucumbers, potatoes and cheeses. 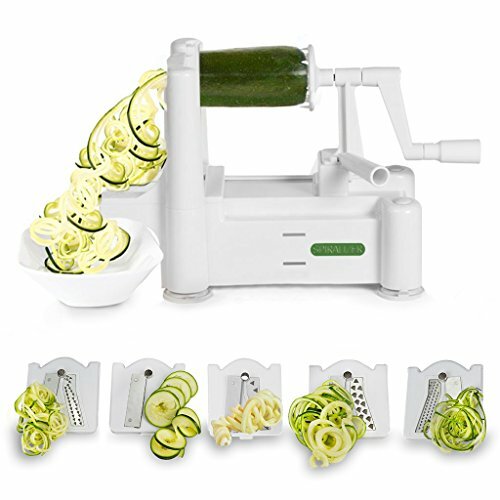 MANDOLINE SPIRALIZER JULIENNE – all stainless steel blades are razor sharp and non-corrosive. 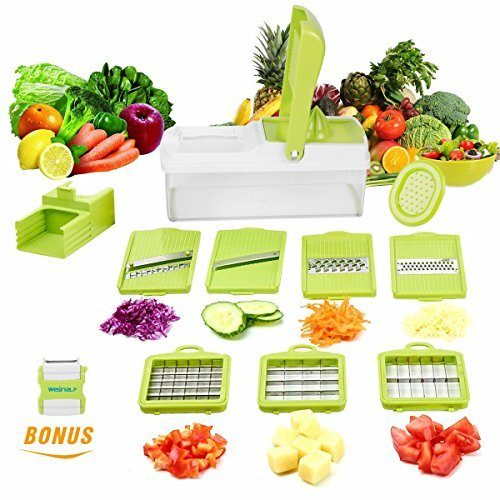 Our 9 interchangeable blades include: dicer; long cutter; blade; straight ribbon blade; julienne ribbon blade; julienne slicer; mandonline slicer; coarse grater; fine grater; and fruit wedge cutter blade.